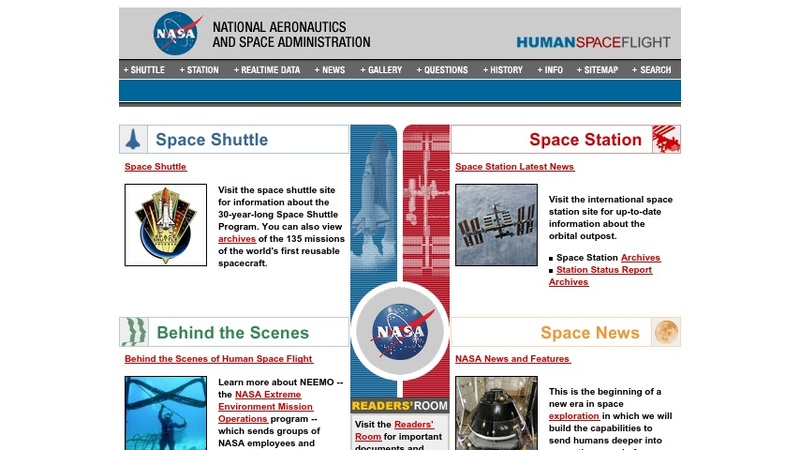 The NASA Human Spaceflight site provides information on all crewed NASA missions, especially the Space Shuttle and International Space Station. Materials include realtime data and tracking information, updates for ongoing missions, press releases, videos and photos, and daily news and events from the various NASA centers. There is also information on historic crewed missions, and fact sheets on astronauts, shuttle missions, first flights, and scientific research facilities. Users may also subscribe to an e-mail service to receive status reports, news releases, and other current information.